If you think you can’t work with PowerPoint using your iPhone, think again. 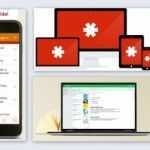 Thanks to these powerfully awesome iPhone apps, you can perfect your PowerPoint presentations anytime and anywhere. iPhones are great for almost anything. Watch movies or stream videos, play games, create art, brush up on your cooking, and even work. But to create PowerPoint presentations on your iPhone may be something you haven’t thought about. Not until today. 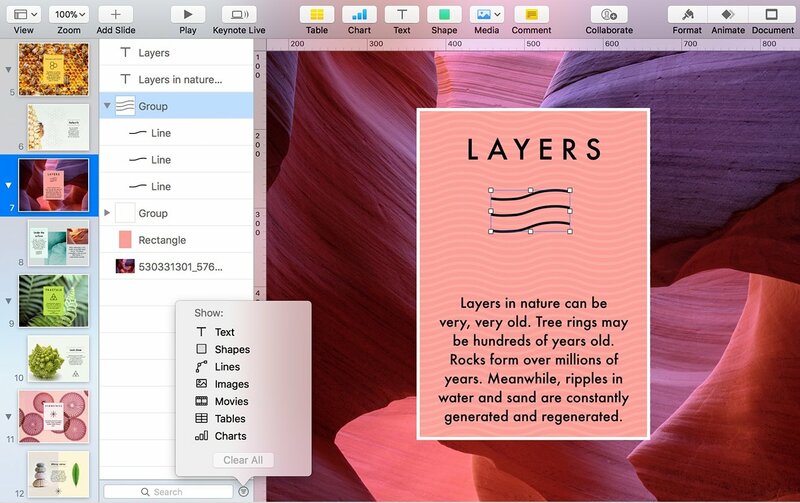 Here are the best iPhone apps for PowerPoint presentations. The thing is, you can use Microsoft-powered PowerPoint on your iPhone, thanks to the Microsoft PowerPoint app for iPhone. 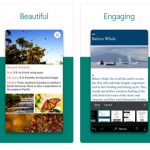 With this app, you can create and add ideas to your slideshows anywhere you are, whether you’re in your workplace our traveling, or practically anywhere you carry along your iPhone. And not just that, the app works on your iPhone too. So, you can create slides anywhere you are, anytime inspiration strikes, and you can finish up and get ready for slideshows. If you’re familiar with PowerPoint in Windows, then you can easily and seamlessly work with PowerPoint for iPhone. Then, if you’re subscribed to OneDrive, you can easily access your slides on your iPhone and switch devices and still work with your slideshow without missing a beat. Then, you can add these PowerPoint apps to help you supercharge your PowerPoint for iOS. 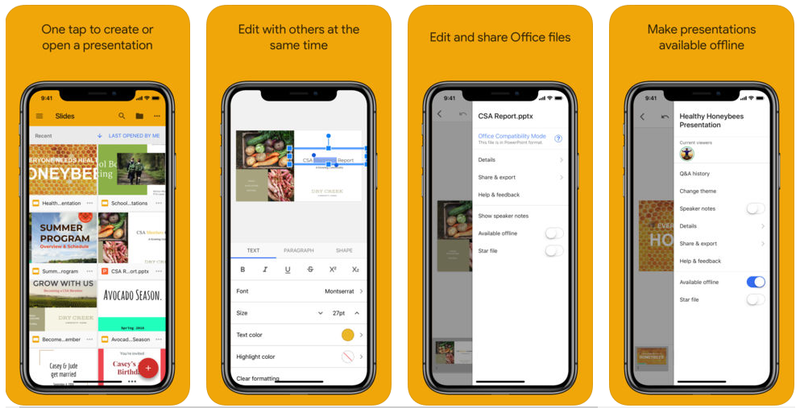 If there is one third-party app for iPhone which can help you create, edit, save and share PowerPoint files, its Google Slides. 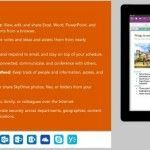 This app provides all the functionality you need for using PowerPoint files on iOS, as well as offers a complete range of features to support other Office applications such as Word and Excel. Keynote is Apple’s counterpart for PowerPoint. If you’ve been using iOS products, you may be familiar with it. First of all, Keynote works seamlessly with your iPhone, since they are practically in the same family. You can see how beautifully you can create bubble charts, tables, and create beautifully cinematic animations and transitions. Then, you can sync your completed presentation using iCloud and then export your slideshow as a PowerPoint. While you can display your presentations through the PowerPoint for iOS app, you can make the most of your iPad’s retina display with iSpring Cloud. You can make the most of your animations and transitions, as well as sound effects with iSpring Cloud. 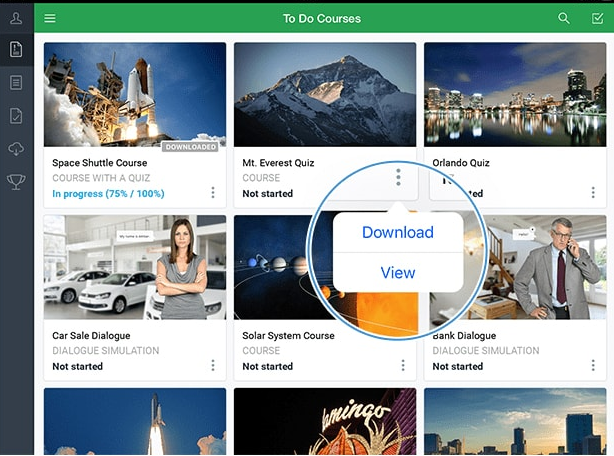 You can’t edit your presentations with the app, however, but how it displays your presentations is going to be worth the download. iSpring Cloud is free so you can try it for the first 30 days. Afterward, iSpring Cloud adds its logo at the beginning of your presentations. If you want to remove the logo to showcase your own brand, you can upgrade through the AppStore. 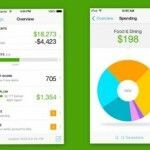 For editing, viewing, presenting and sharing on the fly, these nifty iOS apps can definitely help you make the most out of PowerPoint when you’re using them on your iPhone and even on your iPad.